Caffeine is used in association with active ingredients that induce sleepiness because it stimulates the central nervous system. It is a polymorphic substance: It exists under different modifications called forms I and II that exhibit different mechanical properties. Characterization of the present modification can quickly and easily be made by means of only one DSC heating run. 2 heatings to 270°C at heating and cooling rates of 10 K/min. Figure 1 displays the DSC measurement curves. 1st heating (blue curve): The detected peak at 241°C is typical for the melting of modification I. 2nd heating (green curve): The endothermal peak at 161°C is due to a change in the crystal structure. This proves that the substance crystallized into form II during cooling at 10 K/min. In the following heating, this form II transforms into form I (Peak at 161°C) that subsequently melts at 239°C. Compression of Caffeine Induces Changes in the Crystal Structure! Let us now put 35 mg caffeine (form I) in a press and compress it for 20 minutes with a force of 20 kN. After this procedure, the powder is a tablet. Let’s store this tablet for one week at room temperature before we measure this sample with our DSC. The result is presented by the curve in figure 2. One could think that there is no big difference between both curves. But let’s zoom the temperature range 120-200°C. Here, an endothermal peak is detected only in the compressed sample (figure 3)! This peak results from the structure change: modification II –> modification I. This means that during compression, caffeine transforms its modification! Mechanical treatment such as compression can lead to transformations of a polymorphic substance from one modification to another one. This can affect the properties. 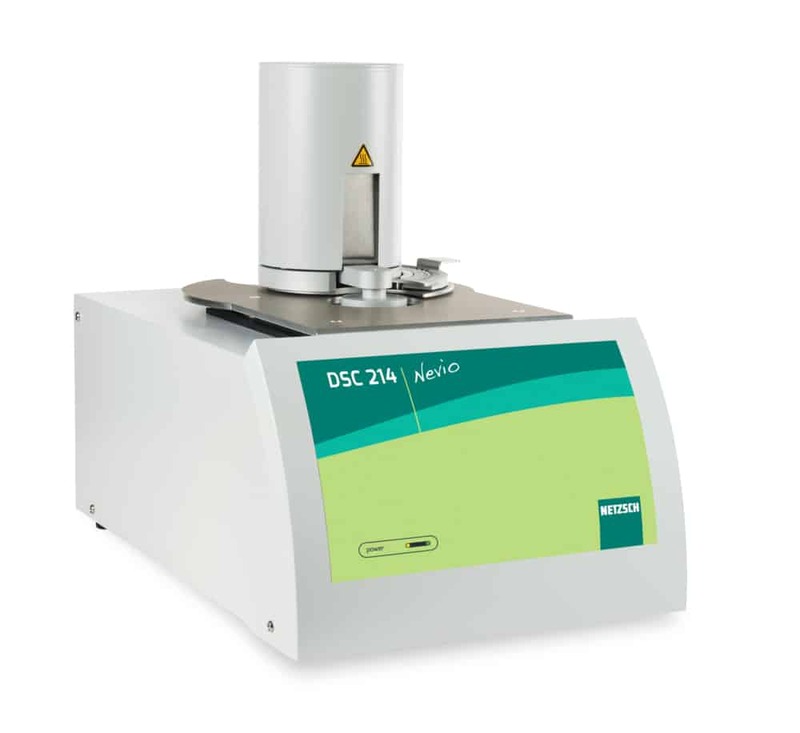 A DSC measurement identifies easily the modification in only one heating run.